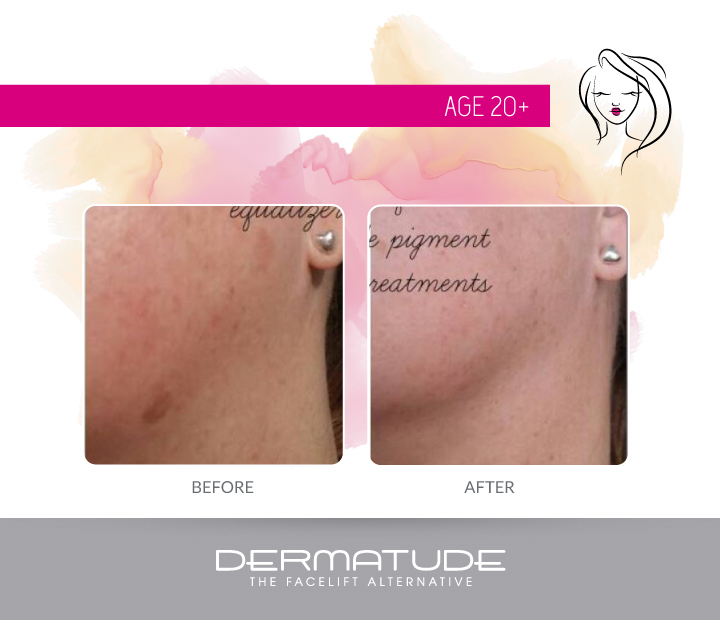 The advanced digital device with precision hand piece and patented modules guarantee optimal results without risk of skin damage or scarring. For the best safety and hygiene, all modules are single use only and disposable. The safety membrane inside the modules prevent cross contamination. 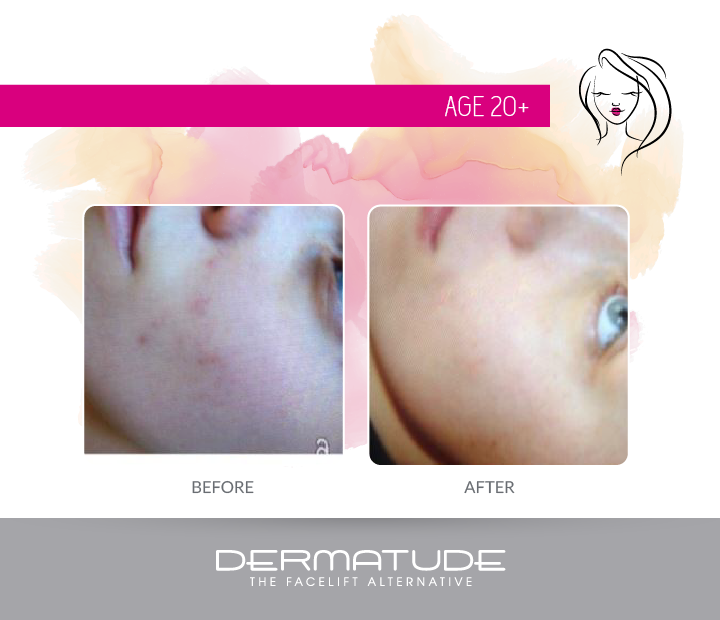 Leading dermatologists worldwide consider Dermatude as effective and safe. 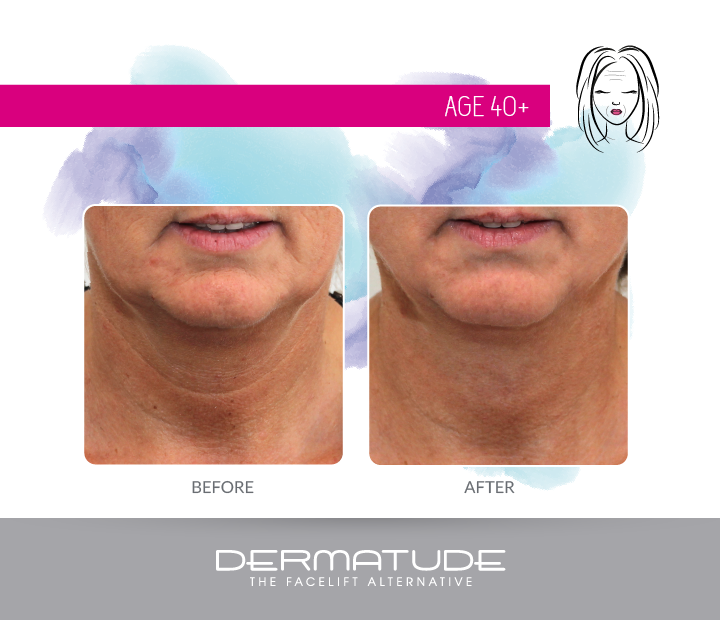 The facial treatment can be performed on the entire face, neck, and décolleté plus specific for overall skin improvement. 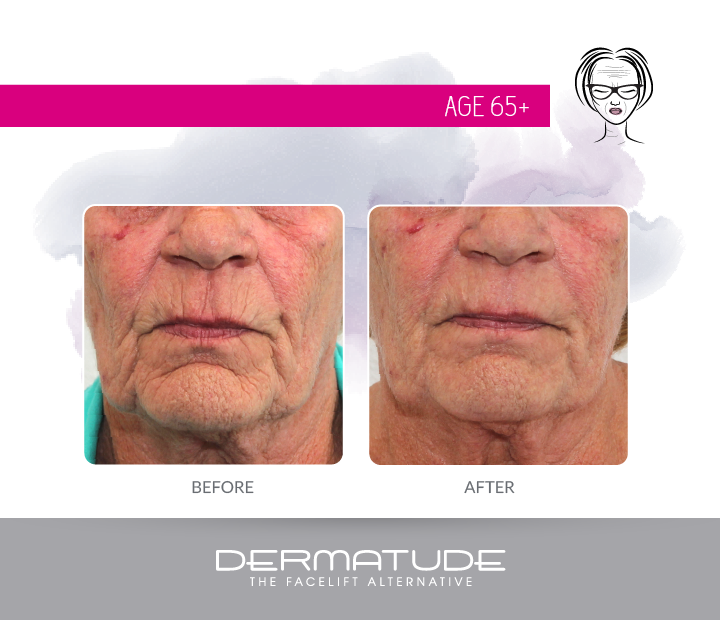 The skin will improve in structure, have finer pores, increase firmness, boost elasticity, and give a more youthful appearance. 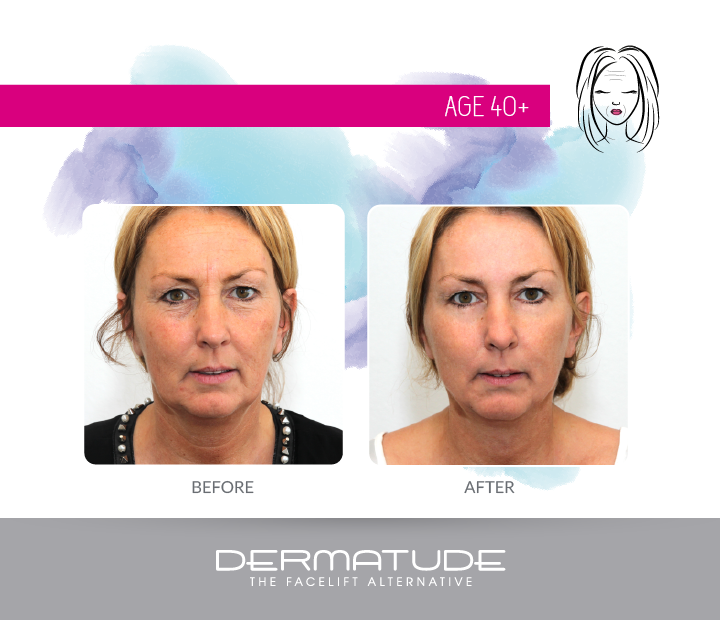 The facial course starts with one treatment per week for the first month. 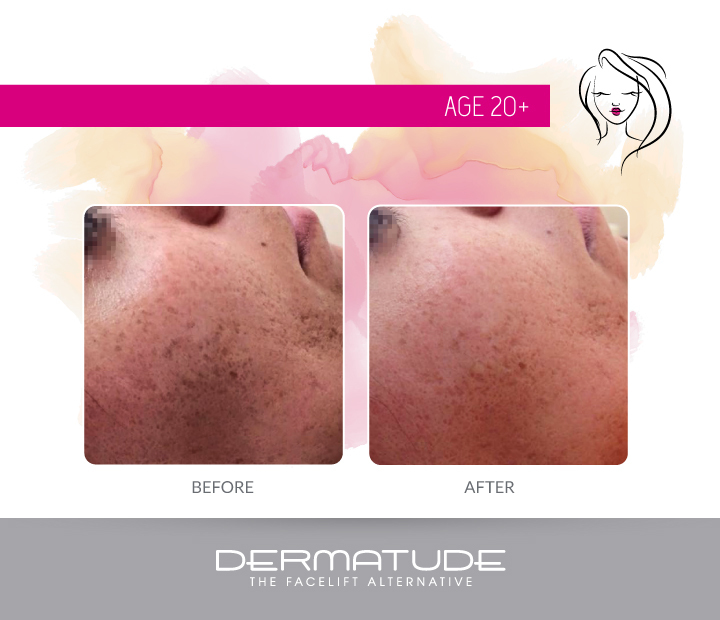 During this initial period, you will see significant improvement in the skin. 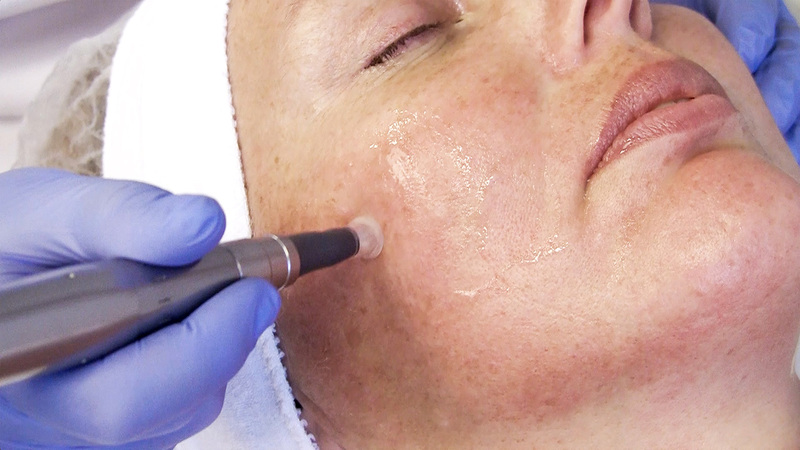 The treatment frequency is then reduced to one treatment every two weeks or four treatments spread over two months. If the desired result is achieved, a maintenance treatment is required every four to six weeks. Immediately after the treatment the skin can show some redness, which will disappear after applying the Intense Restorer Mask. 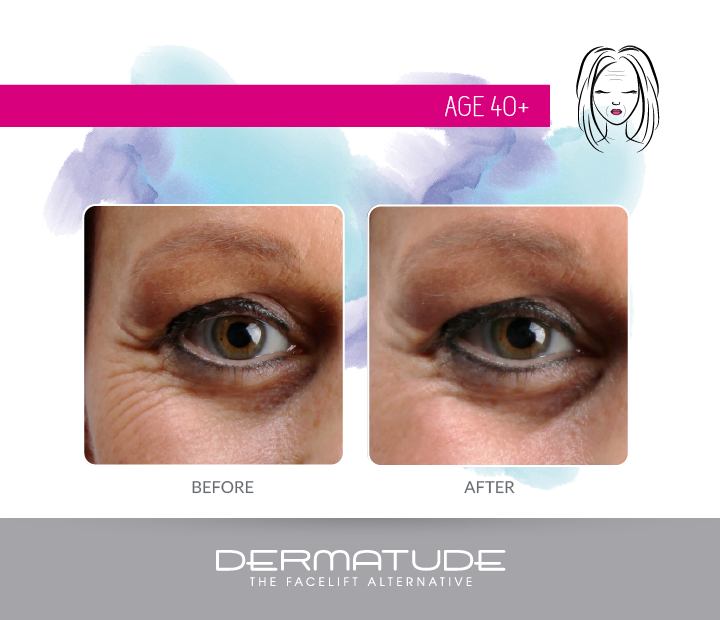 The client can wear makeup the following day and can resume their daily activities without any restrictions. 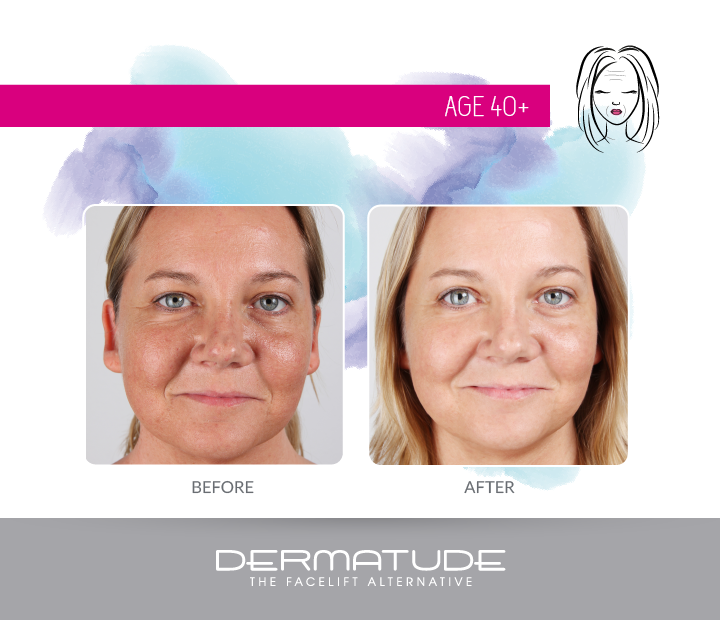 In addition to the overall improvement in the skin, it is possible to use the Dermatude treatment for wrinkles and fine lines. 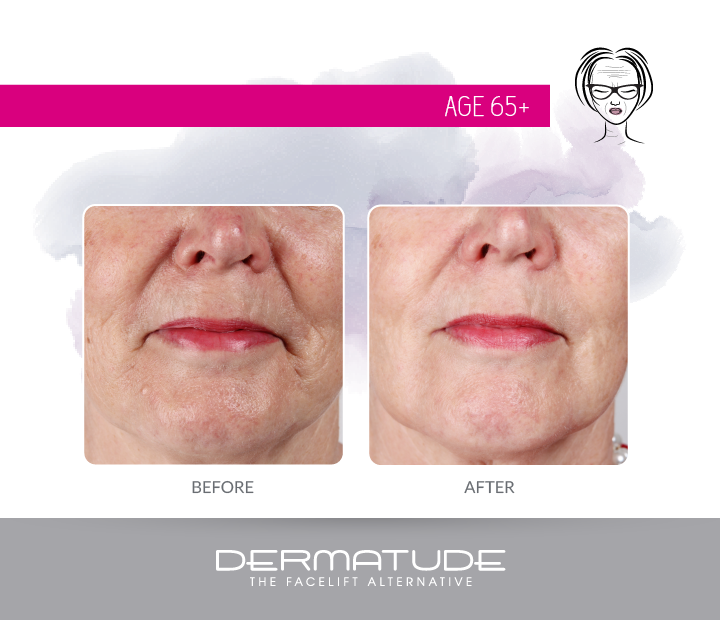 The skin under the wrinkle is activated and the connective tissue fills the wrinkle from the inside. 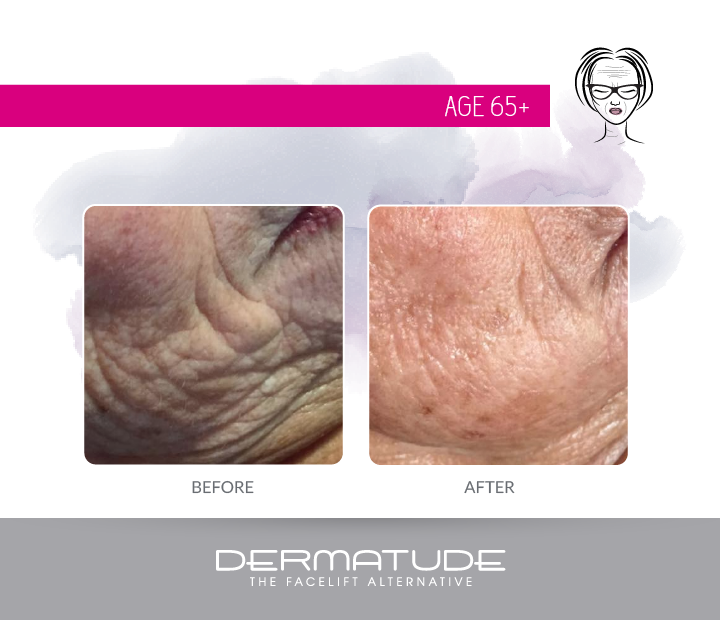 Again, this is a 100% natural process and the skin itself fills wrinkle from within. There are no fillers injected or nerves of muscles blocked. 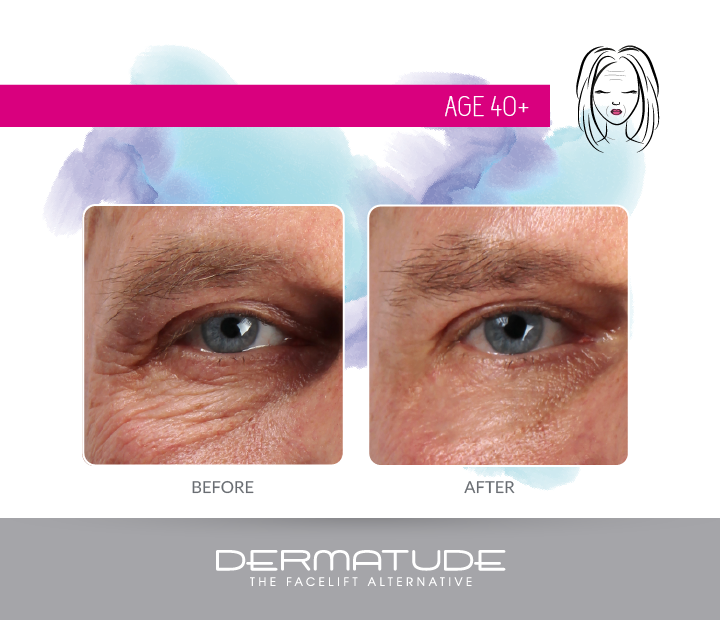 The wrinkle treatments are in a course of four to five treatments carried out with an intermediate period of two weeks between each treatment. 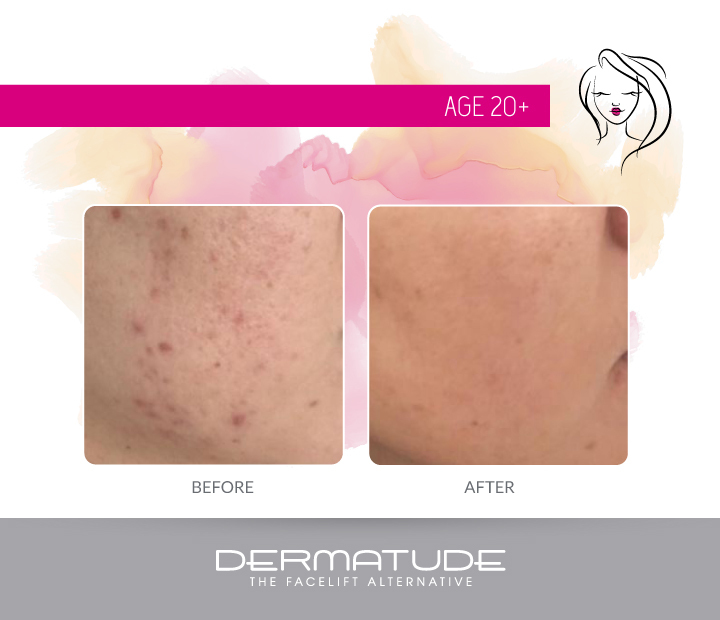 Dermatude involves making microperforations in the skin while using the FX50 or FX100 device and due to the practically invisible microperforations the natural repair mechanism of the skin begins. 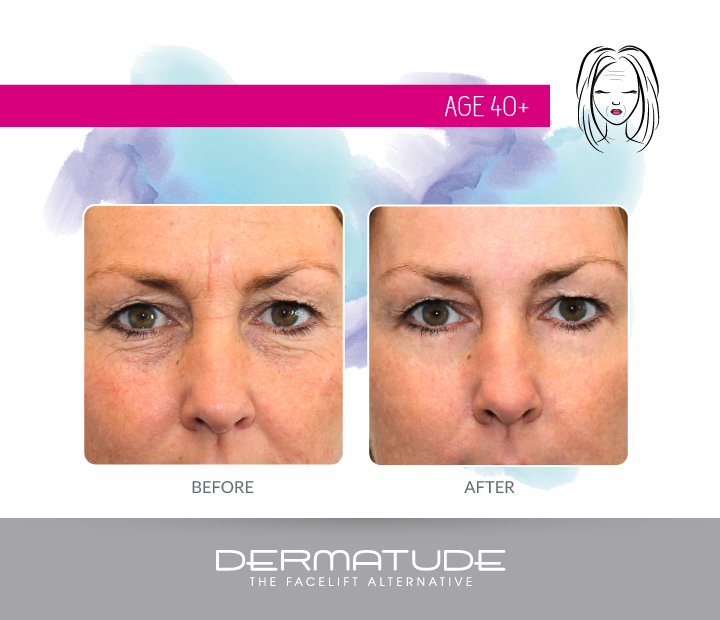 At the same time, it will stimulate the production of collagen and elastin. 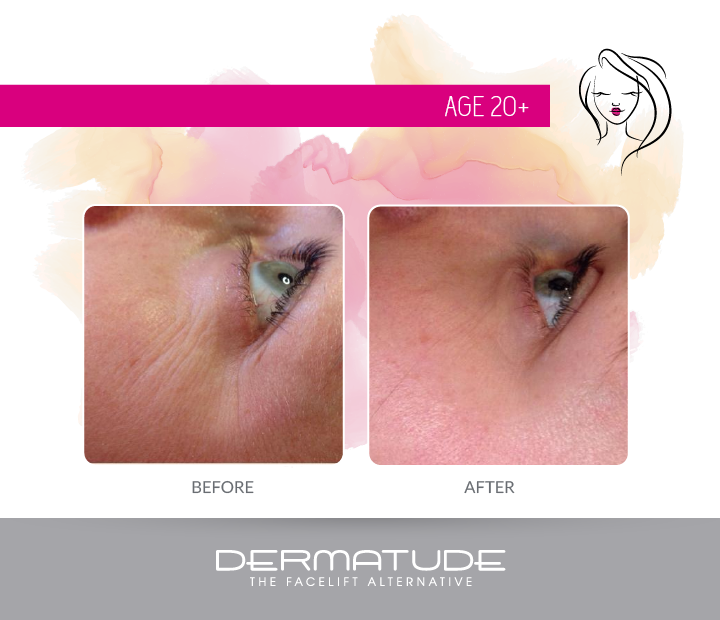 As a result, the skin is restored from the inside out through regeneration of the skin tissue. 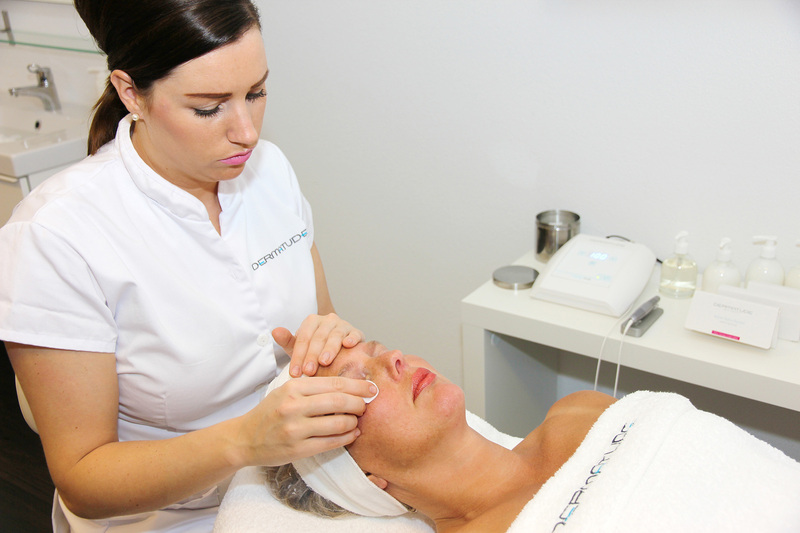 The treatment also involves placing active ingredients into the skin in the form of subjectables, which enables you to carry out very specific and targeted treatments that suit type and issue of the individual client. 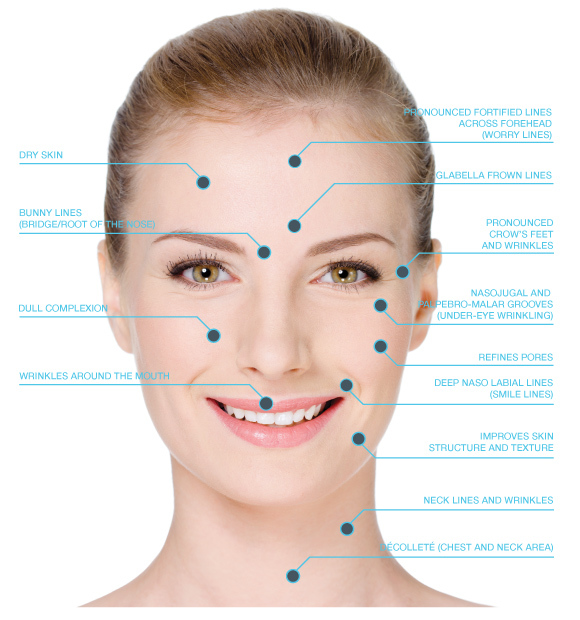 Working on the right depth is very important to obtain skin rejuvenation or skin improvement. 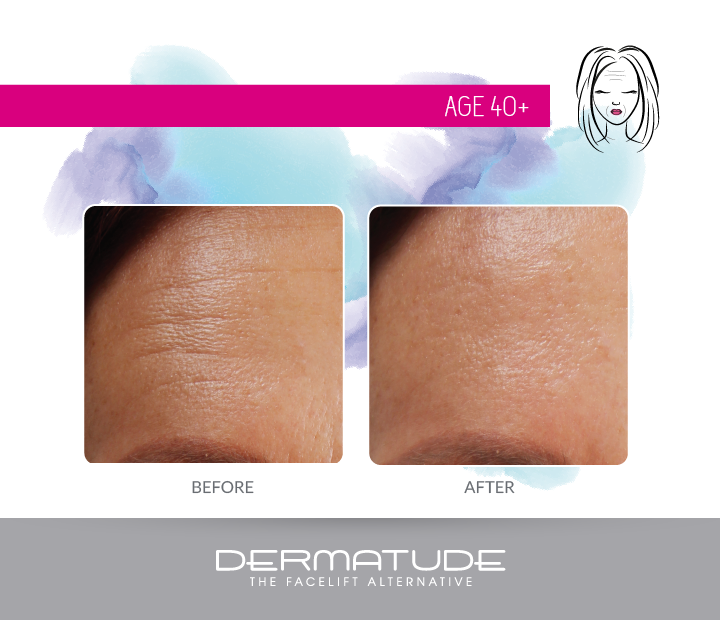 Dermatude features a curved stamp with flex head technology that automatically corrects the frequency, making irregular perforations in different skin zones impossible. 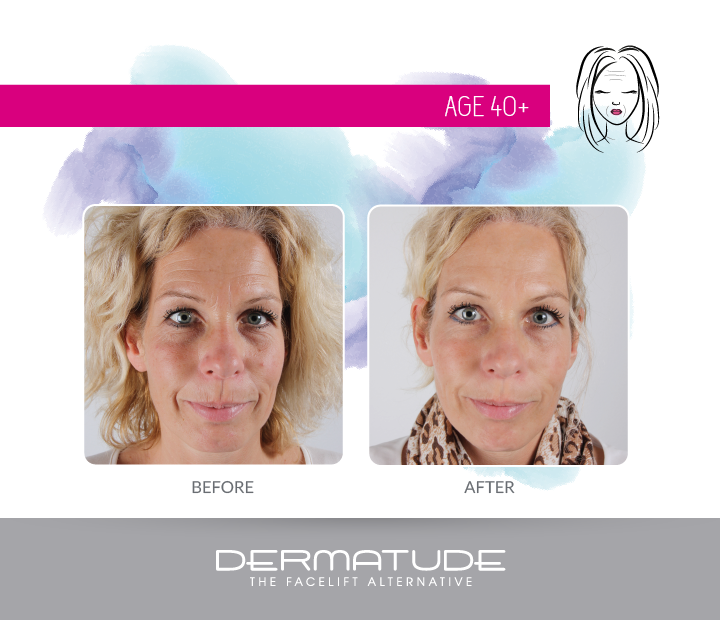 Dermatude modules create painless, invisible, microperforations. The 18 or 38 point needle modules, with a speed of 100 up to 150 movements per second, makes thousands of microperforations. 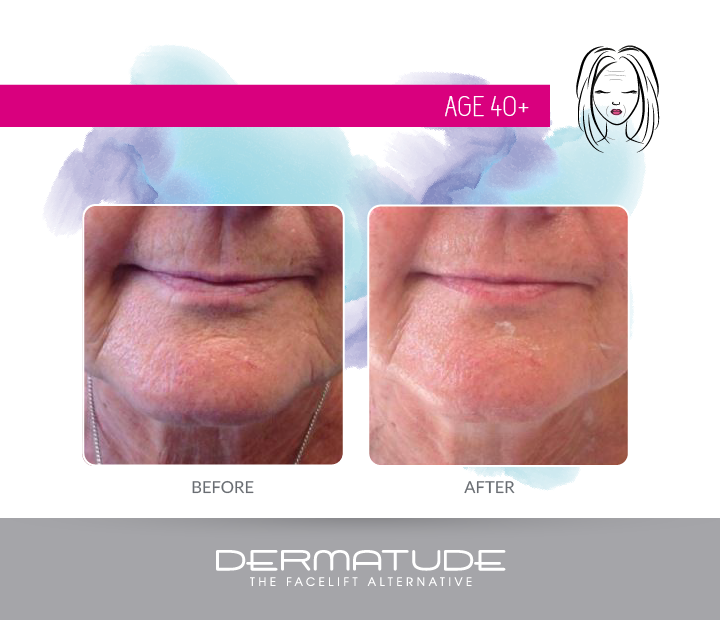 The Dermatude hand piece perforates the Stratum Basal layer, which when activated, enhances the production of collagen and elastin without risk on the development of subcutaneous scar tissue. 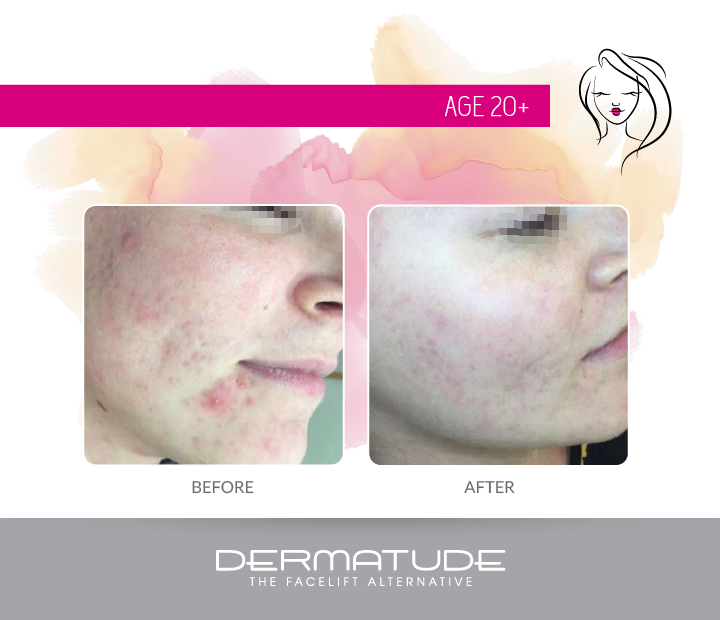 Dermatude is effective and safe with no short or long term unwanted effects with repeated application.